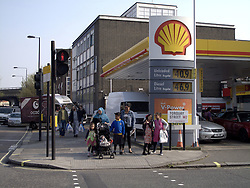 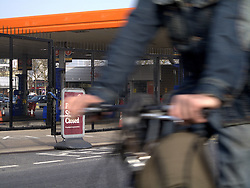 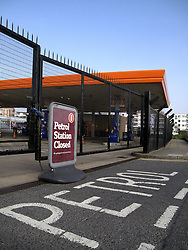 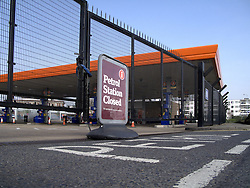 UK ENGLAND LONDON 30MAR12 - A petrol station is closed after supplies ran dry due to panic buying by motorists in the past few days. 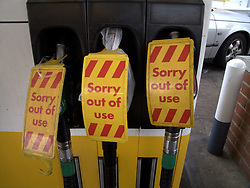 Queues have formed at petrol stations as demand for fuel shot up after ministers called for people to top up in case of a tanker drivers' strike. 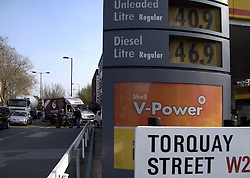 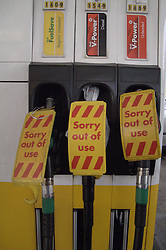 The Petrol Retailers Association said ministers had been 'irresponsible' and were at fault for the panic buying.